We should be back in the swing of the routine by now but somehow it's just not happening. I think I am still playing catch up from the holidays. Autumn has arrived with a bang, the summer already a distant memory. We have however made our mark at the Village Fruit and Veg Show and made enough jam and chutney to keep us going for years! It took us a whole weekend to make this lot - we had a glut of green tomatoes we needed to use - 37 jars and 4 bottles of six different types of chutneys, pickles and jams! 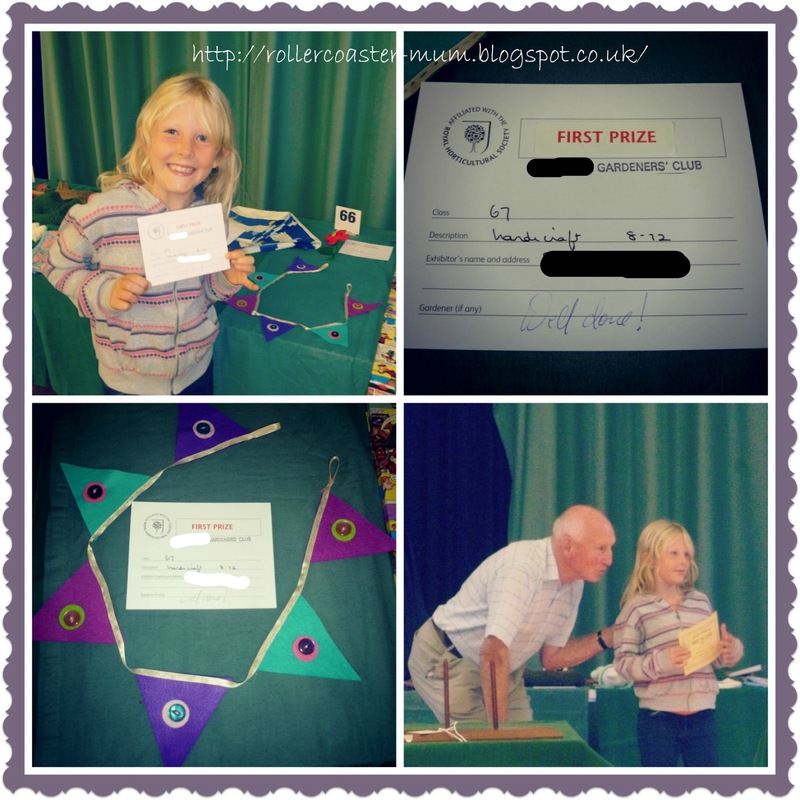 We had never been to the village fruit and veg show before and we were over the moon to get first prize for handicrafts for Bigger Miss's bunting and second prize for Little Miss's herb arrangement and second prize for our eating apples - chuffed to bits! Now I know why Kirsty Allsop found them addictive! That lot of chutney should keep you going for a while! Very productive weekend you had there. 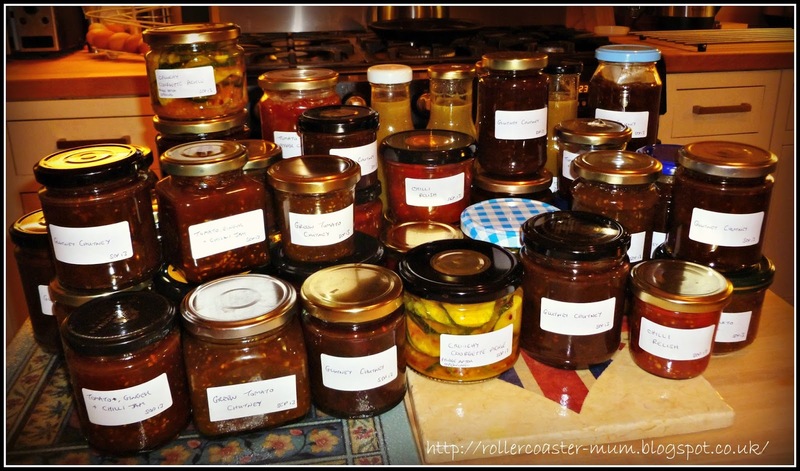 That is some serious chutney making!